I'll try to explain why this is my current favorite album. I think the whole album is about moving on. The tracks were well arranged so you could see the progression of how one would go through in dealing with such circumstance. It starts with the wonderful “Need You Now” song. It obviously states how hard it is to deal with a lost relationship. We all know how this song hurts because at one point or another we’ve experienced this. lol. Tracks 2 & 3 (Our Kind of Love & American Honey) support the first song as they basically reminisce everything you had with the relationship. The next three tracks (Hello World, Perfect Day and Love This Pain) show how the character is already trying to face the situation even at the point of loving the pain (ugh). This I believe is the point where you really are trying to move on already. Tracks 7-10 (When You Got A Good Thing, Stars Tonight, If I Knew Then, Something Bout A Woman) is the part where realization kicks in - the turning point I should say. It’s when you realize it should have been this or it should have been that after you’ve tried to help or cheer yourself up from such situation. It’s also the point where you get to find someone new. This whole country album is filled with such relaxing and excellent melody coupled with beautifully crafted lyrics. This is a masterpiece. You can never go wrong with this one. 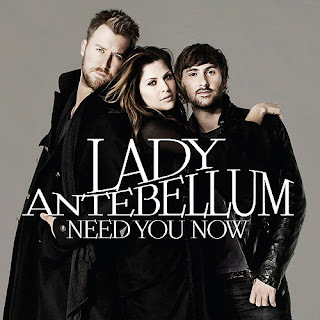 Way to go Lady Antebellum! This review was originally posted on this blog.